I want to tell you the story of the Call to Farms, and the beautiful, creative minds behind it. On a cold chilly Monday evening in September, a group of us hungry adventurers departed the city for Stratford, Ontario, hoping for some good food and fresh air. We were hungry, excited and couldn’t help but chatter endlessly about all we’d heard on Antony John’s experiment in biodiversity and the zillions of heirloom varieties he grows. With the windows rolled down, we sped by rolling meadows and corn fields kissed with late afternoon sun. Perth County has a certain magic about it in the autumn. As the afternoons grow crisper, the crickets sing louder and a warm haze hangs in the air. It was easy to see why the newly minted Stratford Chefs League is so inspired by the area. Arriving at Soiled Reputation, you instantly see why Antony’s produce tastes so good. There’s no mono-culture here, and rows of veggies are scattered with wild flowers and weeds alike. Hens chirp at each other frantically in the pen beside the barn, picking over some corn cobs while bees buzz lazily in the shade of some cedar hedges. We’re instantly greeted with chilled glasses of Block 3 Saison, big smiles and instructions to leisurely make our way through the green houses for canapes. Executive Chef Tim Larsen of Mercer Hall and Gilad Rozenburg, the pastry chef at The Bruce Hotel were constructing bites of delicate vidalia onion leather topped with pickled calandula flowers, sea salt and honey, while Chef Yva of Pazzo Ristorante tossed a flurry of peppers in a few woks over a fire pit. The entire meal was to celebrate the beautiful produce grown on the property. The chefs had been working for days harvesting, cleaning and preparing. They shared stories, laughed together and got caught in more than one rainstorm along the way. When chatting with them about why they’re doing this, they all agreed: It’s about camaraderie, about learning from each other and about getting back to the soil. They all knew their farmers, but had no idea what it actually took to produce the food they work with every day. After canapes, we strolled up a grassy hill to the 100 yard old barn. Chilled Ontario wines awaited our arrival, paired perfectly with colourful vegetable “charcuterie” served on elegant slate boards. Over the course of the evening Antony’s vegetables took centre stage. We indulged in roast squashes, grilled cauliflower florets with perfectly crispy edges, and creamy charred eggplants. There was a silky green soup poured table side over rye gnocchi and kale flowers. The wood oven roared outside as servers brought forth apple crumbles roasted inside colourful celebration squashes paired with a sorrel mousse. The evening ended on a playful note when the chefs brought out a whimsical petit fours course of candy apple beets, carrot pop rocks, honey comb and beet fun dip. Every detail was thought of. Alongside dessert, a tea made by Karen Hartwick of wild peppermint, catnip and raspberry leaves foraged on the farm warmed guests hands. Upon departure, everyone got a locally made honey pot full of local honey. Music filled the barn during hors d’ourves as Emm Gryner belted out folk tunes into the night. I cannot sing this team’s praises loud enough (nor do they want to hear me sing!). The Stratford Chefs League is doing everything right. From conversations with farmers to the choreographed kinfolk-worthy servers navigating amongst beautifully styled tables. I’d say it’s worth the drive to Stratford, but that would be selling them short. We’re all eagerly awaiting tickets going on sale for the next event. 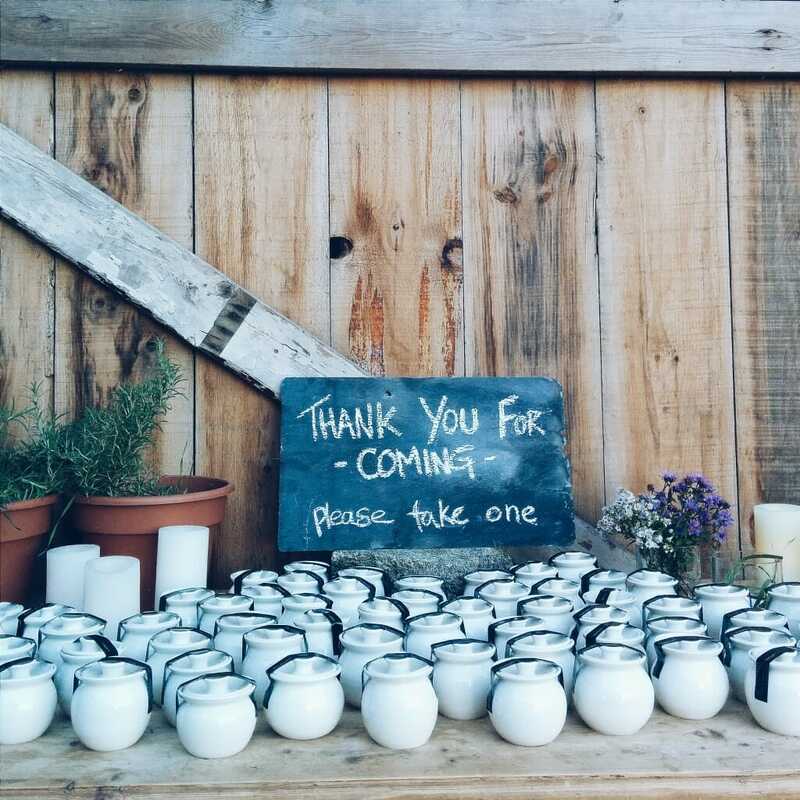 The Call to Farms dinners are truly unforgettable. Find out more about the Stratford Chefs League HERE — but make sure to follow them on Twitter and Instagram @chefleague for all the delicious details about future Call To Farms dinners. Bonus – the Call to Farms clan will be speaking at this year’s Ontario Culinary Tourism Summit on November 12th, 2014.